Women may take forever in the bathroom, but I honestly think half of that time is spent cleaning up after the boys. 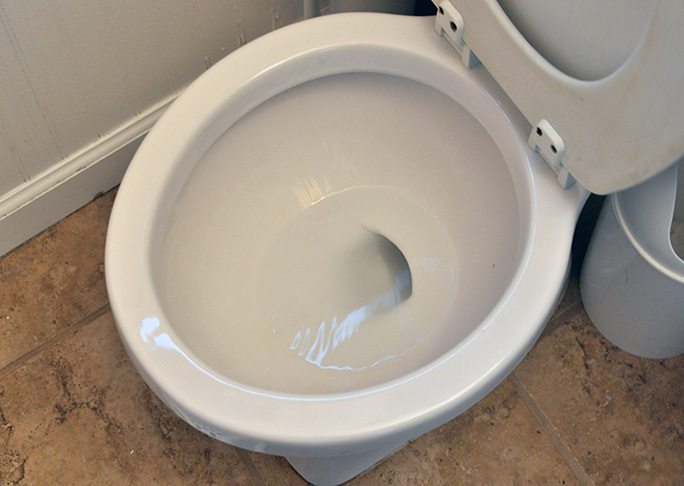 With one Kindergartner and potty trainer in the house, things can get quite messy and stinky in the bathroom, if ya know what I mean, and frequent bathroom clean-up is a necessary evil. Over the past few years I’ve tried quite a few toilet cleaning products and I’m always drawn to those that are fast and effective. Bathroom clean-up is a dirty job and I don’t have a lot of time to mess around. 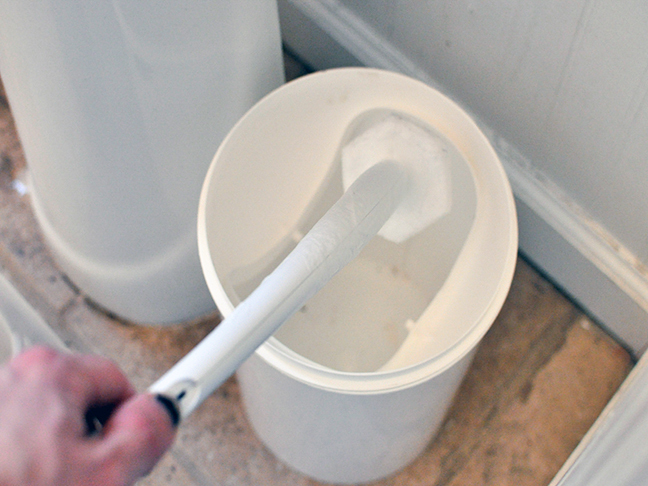 I try and keep it simple by using one type of toilet cleaner and a toilet brush. The issue is, I’ve always had a love-hate relationship with toilet brushes. They are necessary, but so ridiculously designed. 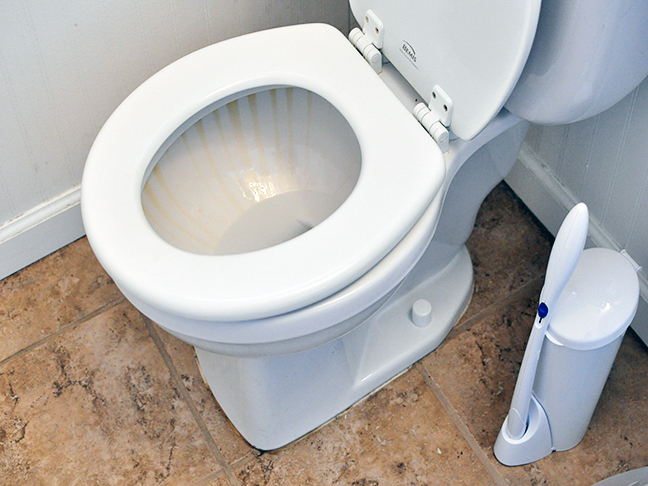 Most—if not all—toilet brushes are bacteria-filled and sit in a stand that allows the germs to fester. When you have two young boys in your house, everything becomes a weapon, so a dirty, just-used toilet brush makes the perfect sword to play-fight your brother with. Wonderfullll. 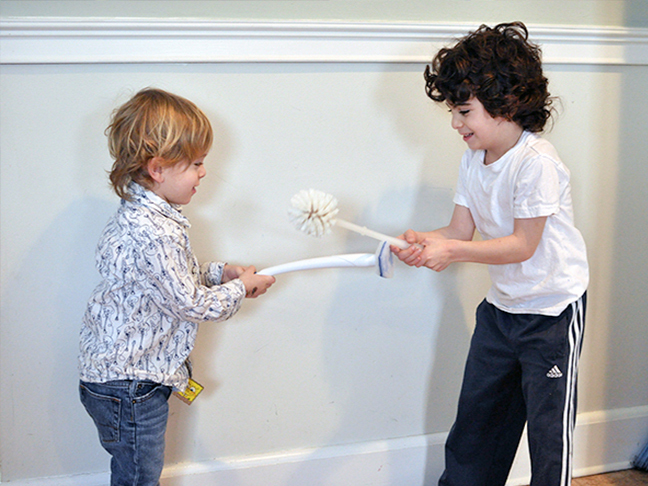 Boys Will Be Boys: Dueling Toilet brushes! That is why I was so excited to get the opportunity to review the ToiletWand Disposable Toilet Cleaning System, and the Clorox Toilet Bowl Cleaner with Bleach. What’s nice is that both have the awesome disinfecting power of Clorox Bleach and promise to kill 99.9% of germs. 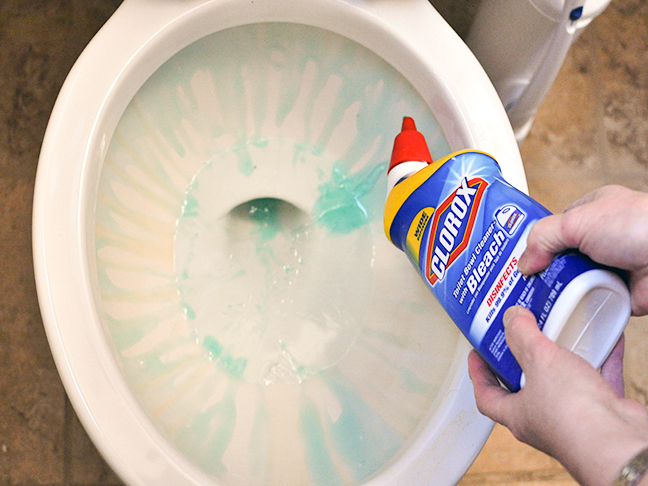 The Clorox Toilet Bowl Cleaner with Bleach has a unique, wide-dispensing nozzle makes it super easy to reach those areas hiding under the under the bowl rim. Cleaning the toilet was a breeze. 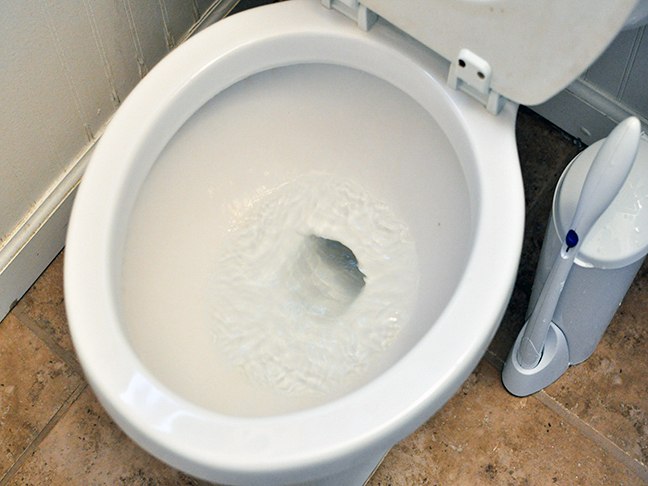 Squirt it around the rim of the toilet bowl, scrub with a brush, let it sit for 5-10 minutes, and flush. Squirt, scrub, wait, flush. No fuss! I had high hopes for the ToiletWand Disposable Toilet Cleaning System because I was fed up with the old-fashioned toilet brushes and knew there had to be a better way. 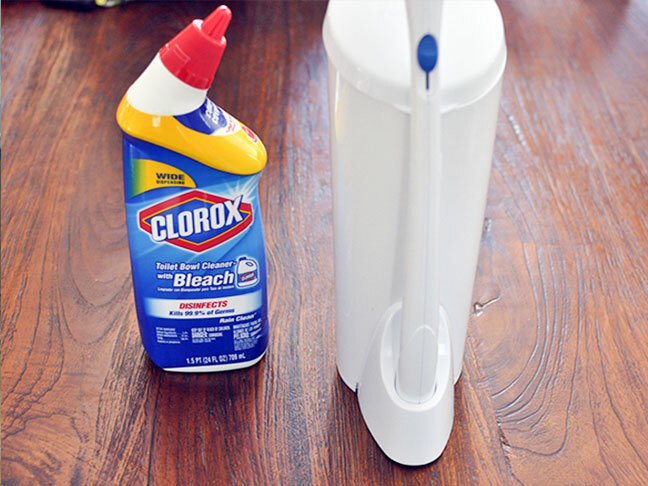 Clorox definitely answered my prayers with this amazing system. The design itself is the perfect balance of form and function. With its classic, understated design and the small footprint of the stand/storage case, it’s perfectly sized for even the smallest powder rooms. The sponge-like head conforms to the toilet bowl to clean hard-to-reach places, even under the rim. One button, hand removal, equals germ-free hands! Weeeeee!!! And for your fellow germaphobes, what really sold me was the disposable cleaning head that easily pops off into the trash with the push of one button on the wand. Genius! 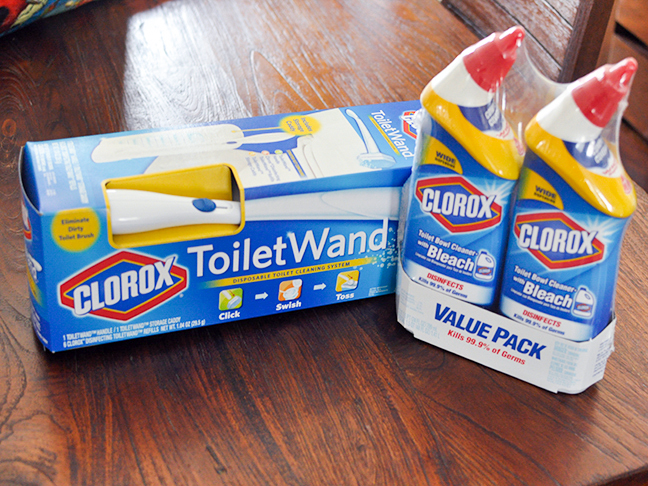 The Clorox ToiletWand Disposable Toilet Cleaning System vs. The old fashioned bacteria brush. There’s no contest. 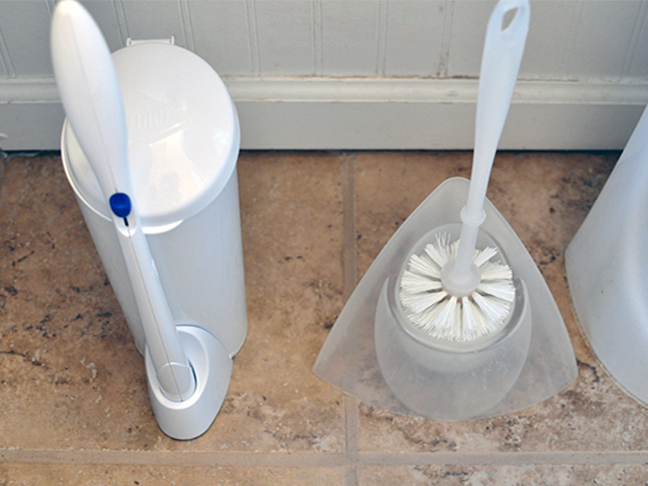 The Clorox ToiletWand Disposable Toilet Cleaning System beats out that old bacteria brush!